Rio Vista Farm is one of many adobe structures in west Texas that will benefit from hands-on training in adobe construction and restoration. Relatively simple in construction, the structures at Rio Vista Farm can be used as a living classroom to train Texans young and old in the skills required to work with adobe. The lessons learned at Rio Vista Farm can then be applied to historic sites throughout west Texas, where adobe structures await preservation. UPDATE: In 2015, the City of Socorro allocated $1.1 million towards the restoration of the Farm. 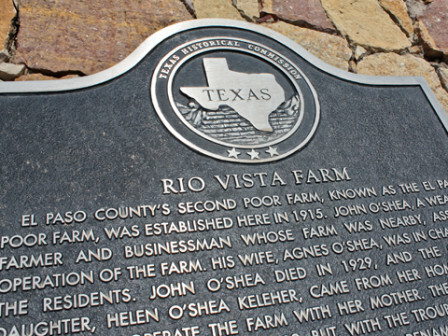 In 2016, Rio Vista Farms was declared a National Treasure by the National Trust for Historic Preservation.